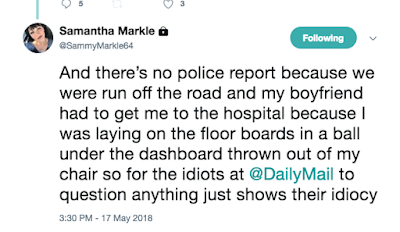 Earlier this week Meghan Markle's half-sister Samantha was accused of blaming paparazzi for a fake car crash in a gross attempt to garner sympathy for trying to upstage her sister's wedding [click here if you missed that]. 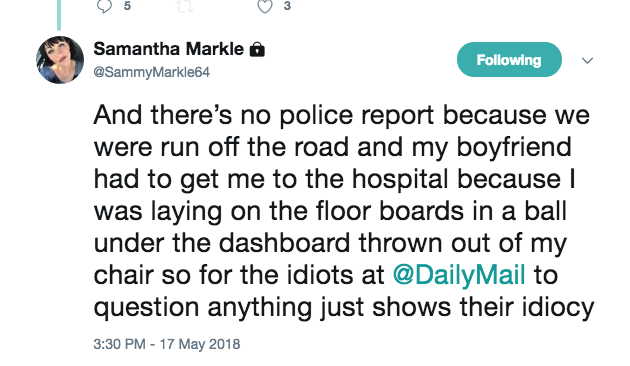 Mission failed and Harry and Meghan made it down the aisle. Wedding is one and done; over. No more airtime for these folks. Send their asses back under the rock they came from. daily mail has always been complete trash. it's like the fox news. i'm pretty sure the same people own it. @ 10:14 - unlike the trash at CNN and so on, right? ALL news is trash; pure garbage and every outlet is fake, false and lying. The young black Cellist is so gifted. Is music is in his spirit, in his heart. He was so amazing to watch and hear. Does anyone know his name? @10:34 AM Love it. LOL! @4:20 Thank you for sharing. I love to see young black people in the state of excellence. I read the back drop on why he was featured while the families signed the registry with the priest. It was Harry who saw him first and was n awe. Meghan invited him to the wedding in consideration of Harry. What a beaut file sentiment and choice they made. I wonder where her Black family members were? Does her mom not have any siblings? Does she not have any close cousins? Why are all her "friends" people she met within the last 5-10 years? She's strange and so is y'all bizarre obsession with her.